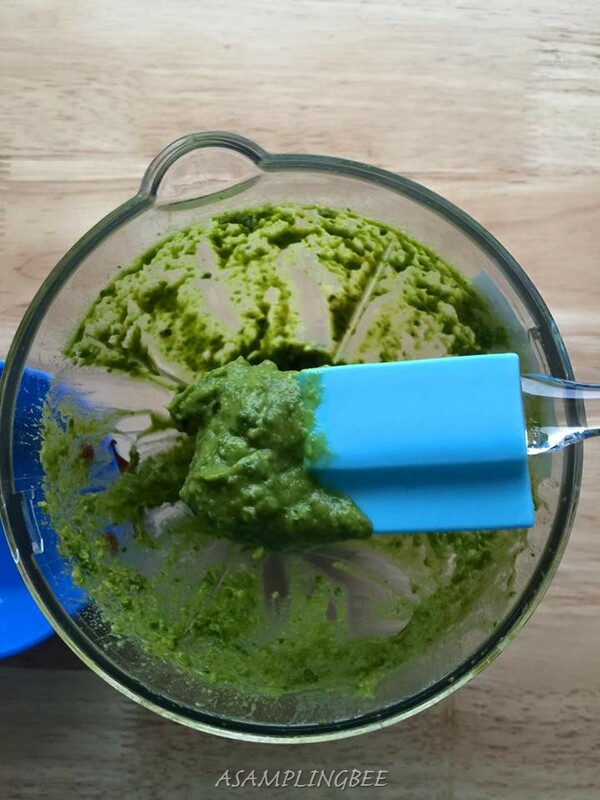 A Sampling Bee: Culinary Corner's 3 Piece Spatula Set Review & Giveaway! 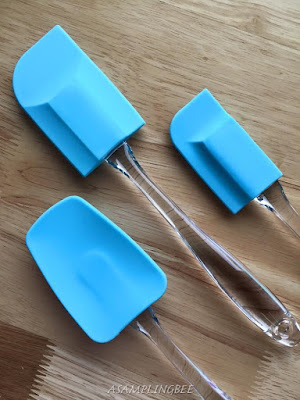 Culinary Corner's 3 Piece Spatula Set Review & Giveaway! Hello! Welcome to A Sampling Bee. 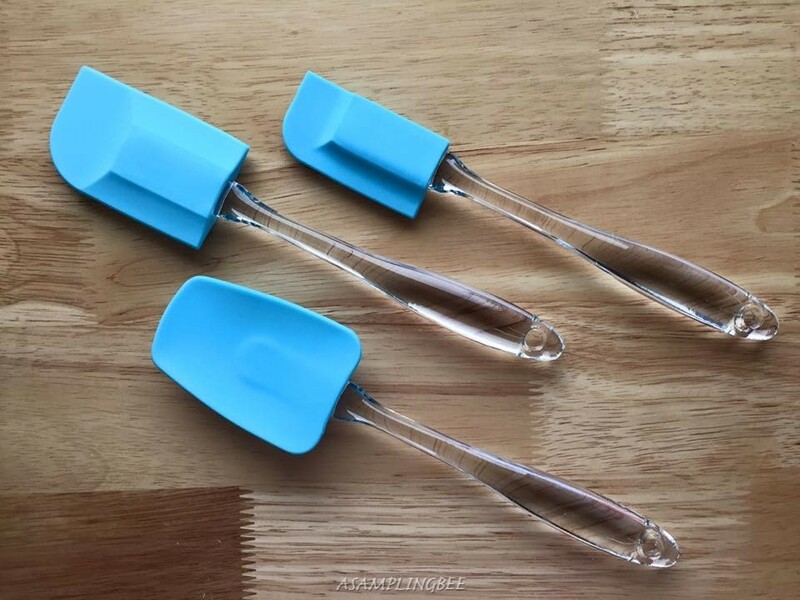 Today I share with you Culinary Corner's 3 Piece Spatula Set. This 3 piece set is a necessity for every kitchen. Culinary Corner is based in New York. Culinary Corner has designed these spatulas with your wallet in mind. They create excellent quality products with reasonable prices. Read my review below and enter my giveaway to win a set for your kitchen. The three sizes and shapes are specifically made for everyday cooking and will hold up to the test of time even with professional chefs. One paddle has a spoon concave which allows scooping of materials like whipped cream or cake batter. One paddle is smaller in size for the more detailed tasks like decorating cupcakes or icing individual snacks, cakes and treats. The most common is the medium sized spatula able to tackle any job but also has one square corner for reaching into the cracks of blenders and food processors. In any case Culinary Corner is sure these spatulas are the go to utensil in your kitchen. These spatulas were made from the highest quality FDA approved materials available. These are able to withstand high heat and extreme cold which makes these spatulas perfect for any kitchen recipe. The spatulas have a special light blue color tint so the spatulas always look great and can be left out or displayed on kitchen counters, instead of hidden in a drawer. The paddles of the spatula is removable for easy cleanup, making sure there is no build up around the base of the handle this ensures proper washing and sanitation. These spatulas are made out of silicone. The small spatula is great for scraping my Baby Bullet Blender. Culinary Corner makes one sturdy spatula. These spatulas are very useful in the kitchen. I use mine to cook eggs, to scrap my mixing bowl and to stir. I use them every day. They are by far the best spatulas that I have ever used. They have held up through a lot of cooking as well as held up to a 1 and a 3 year old playing with them. My 3 year old love to use these spatulas when playing with his Play-doh. My 1 year old likes to steal them and then put them in his play kitchen. I love the colors of the spatulas. The spatula part is a pretty light blue and the handle is clear. The handle looks like it is glass. But, it is not. I love how the spatula part comes off. The spatula part does not come off easily but that is good because I don't want that part coming off when I am cooking. You just have to give it a good tug. It's a great for cleaning the spatulas. I give these spatulas a 10! They are awesome! I recommend them! Use code MELISS10 at checkout. Save 10%! *I received these spatulas for free to create my review. All opinions are my own. Love the color blue spatulas so classic! That is a really nice set. I would use those every single day! Please enter to win a set! I just got this for Christmas. I love them if you haven't already you should get some for yourself. What a fun giveaway! Just so happens I'm needing some new spatulas haha! Love it! I would love these for my kitchen--love the color! I can always use a new set of spatulas, especially now that my 3 year old is into taking all of MY kitchen stuff and putting it with her pretend things. I guess pretend just isn't cutting it anymore and she needs the real things!! My kids are the same way. They love the real thing! These sound perfect for a modern kitchen. It's great that they're sturdy and high quality. Sounds great giveways :) I want to have these in my kitchen. These look very nice! I would like to have these in my kitchen. I could use a really good replacement for my spatulas. These look awesome! Awesome for some kitchen fun. Lovely giveaway. Good luck to all. This is a great giveaway!! I love the color of the spatula as well!! Great thing to try to win! Thank you for posting! I love using rubber spatulas. I have a gazillion all over my kitchen. My favorite are the colorful ones like these. I could use a new set. I like the color on these too. Thanks for hosting. First thing that stands out is that beautiful blue color which are quiet great than the ones I use in my kitchen. The giveaway sounds interesting & I would love to have these in my kitchen as well. This looks like a great set. I love nice spatulas - I am going to have to try these. I love spatulas in nice color! What a great giveaway! This would be very handy in any kitchen, I like using rubber spatulas. The color is very nice too!